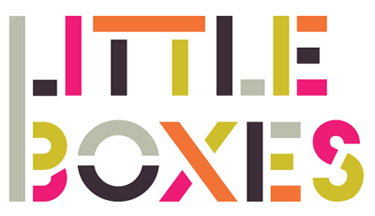 Little Boxes — an independent, PDX spin on traditional Black Friday sales — is back this year! And we are very excited to be participating once again! Shopping in Portland’s Little Boxes on Black Friday and Saturday is an alternative to the hubbub of the big box stores. It’s a great way to find unique gifts for everyone on your list, enjoy the hospitality and warmth of Portland’s independently owned neighborhood shops, have fun with your family and friends, and — just maybe — win some pretty incredible prizes, just by taking a stroll in Portland’s best shopping districts. On Friday, November 27th and Saturday, November 28th, each visit to a Little Boxes participating business represents an entry into the huge prize raffle. Then, when you make a purchase at one Little Box, you’ll get 10% off at the next Little Box you visit. 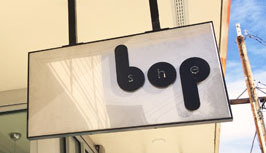 Yep, you can get a 10% discount at our shop just by supporting another participating business. Hooray! Little Boxes is city-wide, but plenty of our neighbors are participating. On Mississippi, you can also shop at Land, Flutter, Reading Frenzy, Gypsy Chic, Manifesto, Animal Traffic, Black Wagon, and more. On Division, check out Menagerie, Field Trip, Gypsy Chic (again! ), Artifact, and others! Check out the full list of participating stores and the Little Boxes Facebook page for more information! On Friday, November 29th and Saturday, November 30th, each visit to a Little Boxes participating business represents an entry into the huge prize raffle. Then, when you make a purchase at one Little Box, you’ll get a stamp. Show your stamp to the next Little Box to get a 10% discount. That means you can get a 10% discount at our shop just by supporting another participating business. Hooray! Little Boxes is city-wide, but plenty of our Mississippi neighbors are participating, such as Flutter, Manifesto, Salty’s Dog & Cat Shop, Animal Traffic, and Black Wagon.